Goals are not resolutions. Resolutions set us up to fail. We must do them by Easter or our lives as we know it will be over. Goals are aims, hopes, aspirations. Whether you smash, come close or miss a goal completely it doesn’t matter. That’s my take on goals. 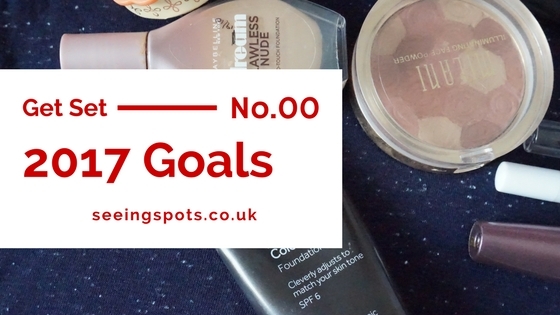 I’ve split my goals into 4 areas Blog, YouTube, Social Media, and Life. Engagement – Comments in 2016 were at an all-time low. I doubt I got more than 10 comments all year and I’d like that to change. I think as a rule commenting on blogs has gone out of fashion but if you’ve read this, please leave me a comment. Even if it’s just hello and I read it. They are all appreciated. Readership ­­– This will be my 9th year of blogging and looking at my analytics it makes for pitiful reading. I know quality over quantity but I’d like more people to read what I write and comment and engage and talk to me. Replying to Comments – YT is one social media where I get a decent amount of comments. I’m talking 1-5 per video which to say I’ve had around 10 all year on my blog feels huge. However, I go weeks without replying to comments then do a mass reply to everyone. I want to put time in my calendar to go through each week and reply. Build my audience – I’m quite pleased that I have over 200 subscribers on my channel and this feels amazing but over the past few months there have been opportunities coming up with YT themselves but for people with over 1000 subscribers and while I don’t aspire to be YT famous I would like to be able to go to some of these events. I’ve also noticed from looking at the analytics most of my engagement is with non-subscribers and one person (I’m assuming it’s only one person) who is subscribed thumbs downs every video I upload. Please unsubscribe. Thumbs down don’t really mean jack and if anything, they can be a positive. They are an engagement at least. Reduction in posting – Since I’ve been making more regular videos I’ve been uploading around 3 videos a week. I’m dropping this to two videos with the occasional bonus video but I was uploading three as I bulk film so I felt like videos were getting old and outdated but I realise that they’re not really. If I aim for 2 I can spend longer editing them, making sure I fill in a decent description in the down bar. I might even add the odd link or two in them. · Growth – for the first time ever I’ve set myself some number targets in terms of followers across all my social media platforms. I’ve been recording my stats monthly for the past 2 years but I’ve never set a target or where I’d like to be. I’m not too worried about hitting them but it will be interesting to see how close get to them. · Google Plus – This year I want to spend a bit of quality time using G+. As a platform, I was excited when it launched and I really like some of the things it has to offer but I’ve never really used it. My blog and YT videos auto post to it but I think 2017 might be the year to interact on it. There have been rumours that google might pull it and I think a lot of people haven’t really used it as what’s the point of using something If it will disappear but I feel like I want to try it and see if it helps with my blog engagement. · Interaction – I had taken a bit of a step back in 2016 and avoided twitter for a lot of it only interacting if people tweeted me but from October time I started using it more. Initiating interaction, using GIFs, joining in twitter chats and I’ve loved it. On Instagram, I’ve been using hashtags with only positive outcomes. My likes and followers are up. I’m liking and commenting on other people’s posts are up as well. I’m not sure if any of these are helping my blog but they are making me happier which can only be a good thing. · See my friends more – I’ve been a bit of a hermit and only really spent time with a few of my friends. One person I’ve met up with almost once a month but everyone else I’ve only seen once or twice. · Go back to the gym – I joined towards the end of 2016 but when I got ill in September I stopped going and haven’t been since. I’m paying for it and I do enjoy it. Once they publish the 2017 non-school holiday time tables I’m going back and I’m going to try and get over my anxiety and join a class. · New Job – I honestly can’t see myself staying in my current role till the end on the year. I think it’s time for a change. I just need to work out what I want to do and pluck up the courage to apply for other jobs. · Start a 2nd blog- I’ve jumped the gun and done this already. 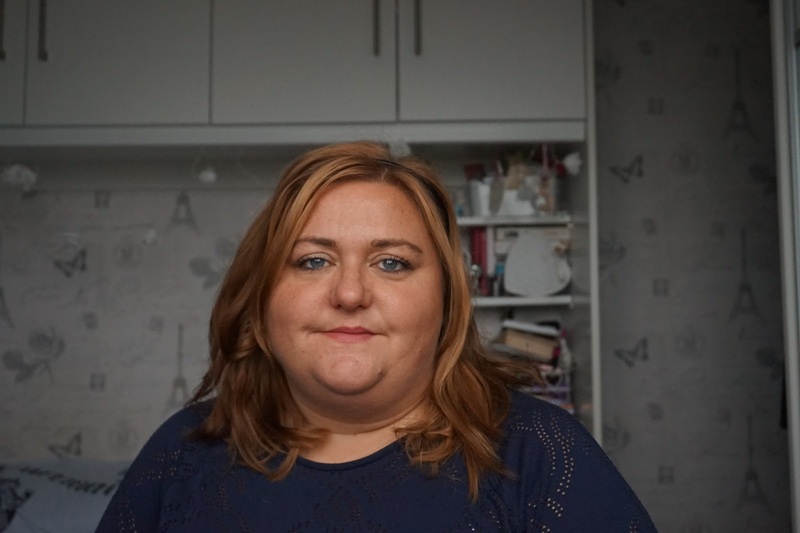 It’s about my slimming world journey and fitness etc. Stuff that doesn’t fit on this blog and I have a 2nd Instagram account that I started last year but feel like I want to blog about it again so that will be my space. If you want to know more get in touch and I’ll point you in that direction. For everyone else. That will be the last mention of it here for 2017. Good luck with all of your goals! Please come and join Health & Fitness Bloggers UK on Facebook with your new blog! Look forward to hearing where you're writing so I can have an nosey. Happy new year! I really like your point about goals rather than resolutions and I think these are fairly realistic to aim for and actually achieve. Good luck in finding your new job and with your blog. It astonishes me how people view posts but don't even take the time to 'like' them!? Thank you. I get very few views so that could be the case. I probably don't promote in the best way and I know my content hasn't been the best. All things for me to work on this year. *achievable* Sorry, dyspraxia kicking in there. I'm with you on a lot of these, I've only got one "resolution" this year which I've posted about on my blog. I too have been blogging on and off for far too long and with little to no comments. I love when people do comment so I try to respond to posts I read as well. It's nice to know it has inspired something even if it's just a link to be left. What's your fitness blog? I'm interested to read it. Wow you have made some great goals for 2017!! Awesome Article!...Looks like you have a future with all the great writing. I can really feel the passion and commitment as you mentioned about your goals this year. I wish you luck for your second blog! It won't be easy as you juggle with this one as well. I know that I don't know you for me to be saying this but something tells me you will be just fine. I feel like I really relate to this post because I, myself, recently created a blog sort of recently and like most, trying to get more traffic. Anyways, keep it up! Good goals. And do the job thing. I had a big job change last year and am much happier. Still scared but happy! I read it! some great goals there. i really see the benefit in social media and I will be really interested to watch you grow!